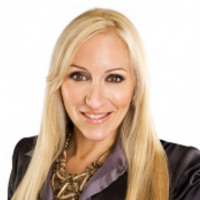 Dr. Vicki Rapaport is a premiere dermatology specialist in Beverly Hills. Beginning during her medical education at Thomas Jefferson University, Vicki worked to develop her own essential skin products and formulas. Alongside her practice, Dr. Rapaport also runs SKN Beverly Hills, a cutting edge skincare company. She is a member of the American Medical Association, American Academy of Dermatology, and Women in Medicine of Los Angeles. Easy to set up account, secure, and AWESOME dermatologist. My doctor was very helpful and asked all the right questions. It felt good knowing you could trust an ACTUAL dermatologist without leaving the comfort of your home, because when you have a severe skin rash, leaving home and going out in public can be rather uncomfortable. Prescription was sent directly to my pharmacy and easy to pick up. Diagnosis was spot on, 100% satisfied! My doctor was very caring and experienced and made sure she addressed any questions or concerns I might have! Thank you! I’ve waited up to 2 hours on 2 separate occasions at my local dermatologist’s office just to see a nurse practitioner. This was amazingly easy and fast and my doctor was very thorough and helpful. This was an amazing experience. I am a primary care physician myself, and I am way too busy to make an appointment and wait. This was a perfect experience for a dermatologic evaluation. I was pleasantly surprised when the exceptionally well designed app had the process of just submitting the photos and entering your history. Very efficient use of my time! Fast, efficient and accommodating! My dermatologist solved the longer term problem, so I didn’t have to go back to my local doctor (and pay again). Exceeded my expectations. I will definitely use again or recommend to another. Thank you! My dermatologist was quick, knowledgeable and helpful! I couldn't ask for more out of a doctor's appointment. I was unsure what to expect from the tele-dermatology model, but my dermatologist gave me exceptional care as if I was right with her in her office. She was very communicative, caring, and helpful. I really appreciate how accessible this service is at such a convenient price. I have had Dermatology care before and had to wait in long lines, appointments were booked up for months, and it was a huge hassle to get exceptional care for my skin. Thank you SkyMD for making access to Dermatology and healthy skin care possible for me! I have struggled with acne for years and I am so excited to finally be on the journey to clear skin. Amazing care and extremely convenient! Careful consideration, and a thorough response from the doctor. First rate. SkyMD is very convenient. I enjoy replying back to the doctor’s message board as I have time and don’t have to visit a waiting room! My dermatologist is the best and has made me more confident in overcoming psoriasis. The customer support from email is very responsive and helpful too. The doctor explained everything that she was going to provide for me and let me know the side effects of the medication. She was very caring and also looked out after my best interest financially by helping me find a cheaper pharmacy.